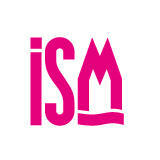 "The World’s Largest Trade Fair for Sweets and Snacks"
ISM Cologne will create optimal conditions for future planning. ISM’s annual schedule is a response to the pressure faced by the sector to produce innovations. It also provides excellent conditions for fast and continuous updating of goods. This show will bring together Health food wholesalers, Drugstore chains, Department stores, Online-food retailers, Vending machine operators, Nutrition scientists, and Food chemists. I want to visit again and also want to meet on one on one. Numerous exhibitors will participate in ISM Cologne. Some of them will be Gutschermuhle GmbH, Hobum oils and fats GmbH Vandemoortele Foodservice, A & D Nuremberg Confectionery GmbH, Aachener Printen and the chocolate factory, Henry Lambertz GmbH & Co. KG, ABICAB - Brazilian Cocoa, Chocolate, Peanut Candies and Manufacturers Association, ACT International Agro Alimentary Consortium of Tunisia, ABS BV Sweets, ACT International Agro Alimentary Consortium of Tunisia, 4Retail bvba 2BSWEET BV, Aziende Riunite SpA ADR Dolciarie and lots more.